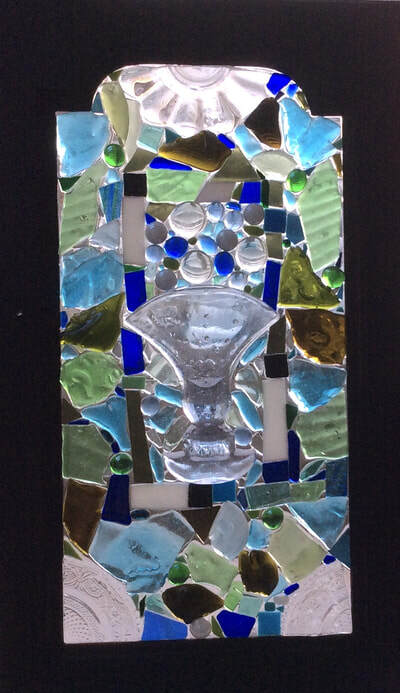 Elizabeth melted her first piece of glass about twelve years ago at a workshop in the wonderful “Starfish” studio that used to be on Yates Street in Victoria, BC, Canada. 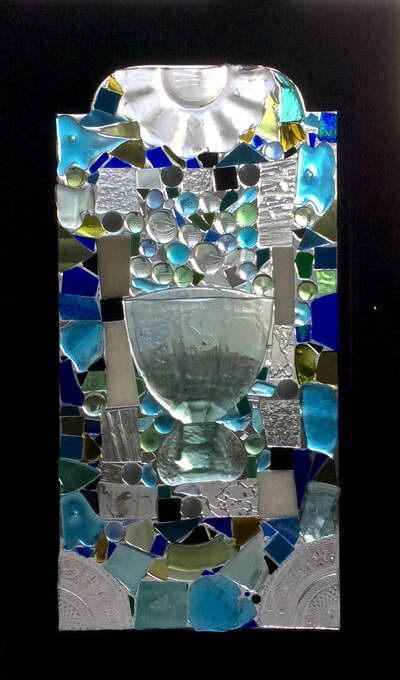 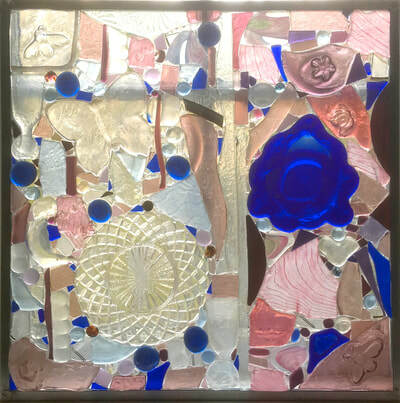 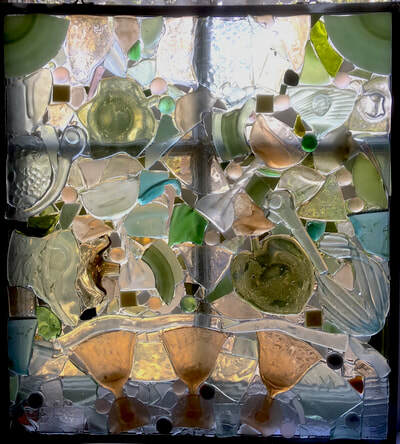 Since then she has been passionate about glass as an art form, with a special interest in recycled materials and she has attended the Pilchuck school (founded by Chihuly) near Seattle. 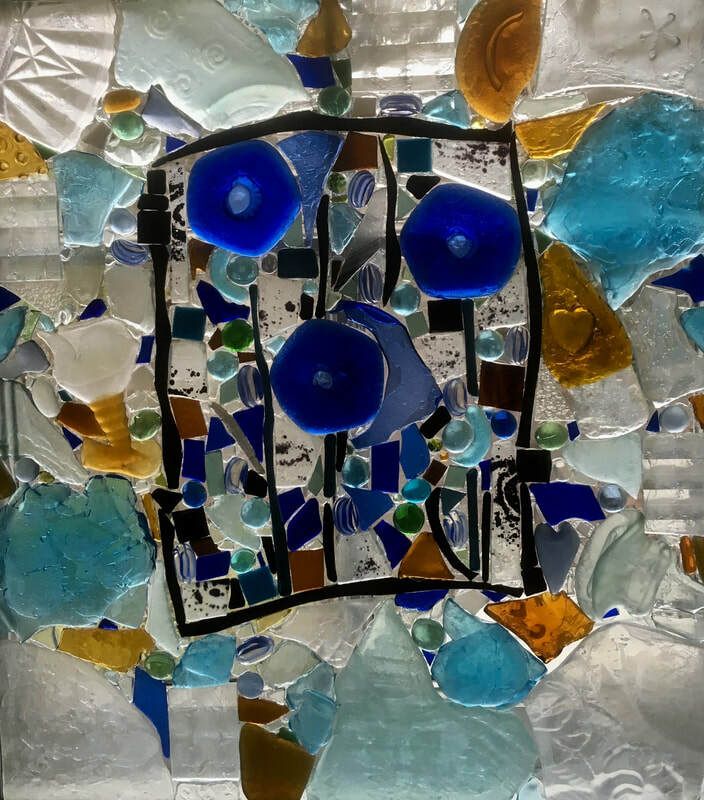 glass-on-glass mosaics look wonderful when light can flow through them, but they are also effective against a wall with light shining on them. Elizabeth’s studio is in her home. 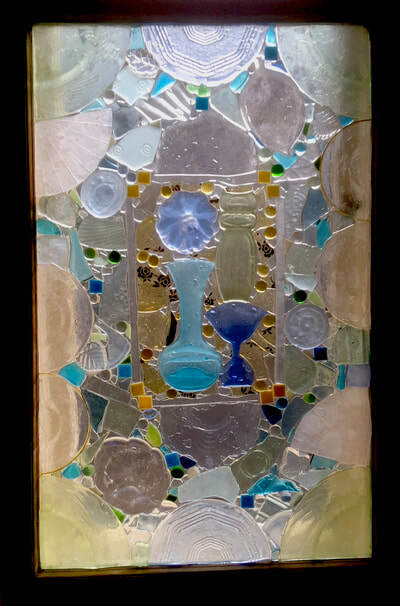 One of her favourite “precision tools” is a sledgehammer and her kiln runs many days of the year. 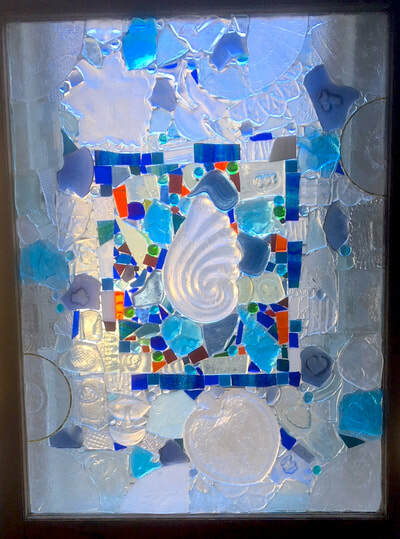 She makes her own plaster molds to add details (such as hearts, insects, seashells and musical notes) to her work. Elizabeth’s mosaics are usually named after titles or quotable lines from jazz music, movies and plays. 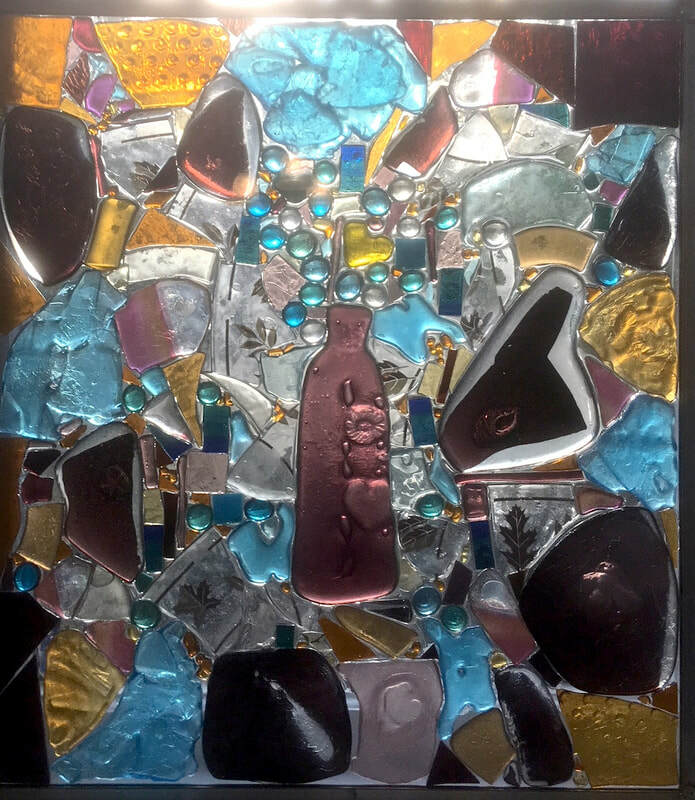 She has been awarded public art contracts in Richmond and Nanaimo for large-scale mosaics and her largest piece, titled “Solstice,” originally part of Nanaimo’s Temporary Sculpture program, can now be viewed at the Woodwynn Peace Garden in Central Saanich. 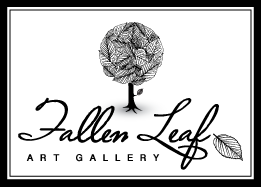 ​See Elizabeth Wellborn's works at Fallen Leaf Art Gallery the next time you're in Canmore.